Due to high demand for our other plugins, we haven’t been able to update the Featured Videos plugin as much as we would like. It’s not currently up the standard we want to put forward to the community. Just put in your email if you’d like to be notified on the progress. 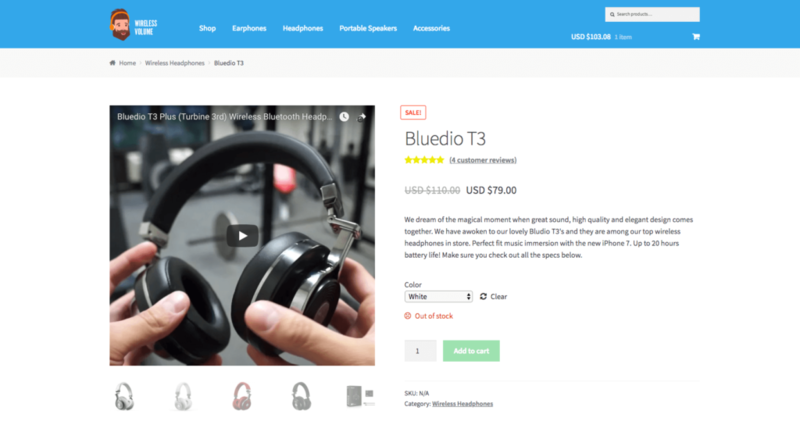 Use our Featured Videos for WooCommerce plugin to give your customers a more detailed and engaging snapshot of your products. Uploading a featured video instead of a featured image makes products stand out and look so much more appealing. It’s simple and easy. Use social videos on your sales pages to show off your product in a better way! 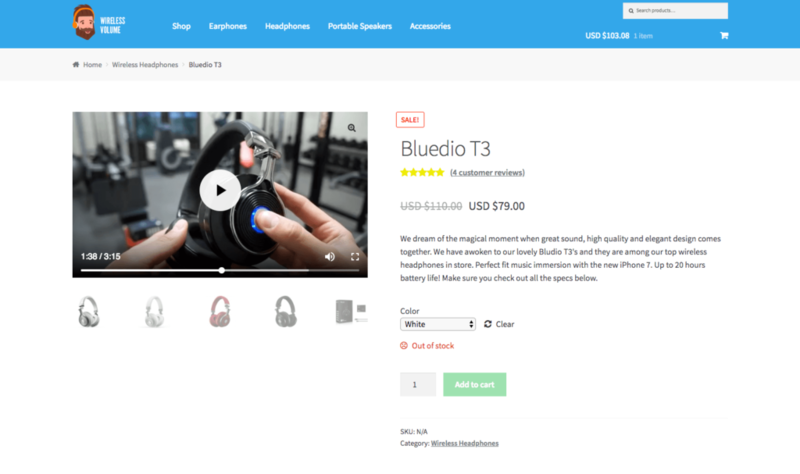 All you need is the video URL to add YouTube videos as the WooCommerce featured image for your product. Thumbnails are automatically generated from the YouTube video. You can override the thumbnail by selecting your own from the media library. Now with Loop and Autoplay features! If you prefer not to upload your videos to social media then you can use your own self-hosted videos! You can easily upload and select videos from the Media Library. You can even upload your own custom thumbnail! Self-hosted videos use HTML 5 video player which is customizable and widely supported on both desktop, tablet, and mobile browsers. Adding your fresh new featured video is super easy! Just go to any product and you’ll notice the featured video box on the right-hand side next to the product image box. Use the dropdown menu to select which type of video you’ll be using for the product. 1. YouTube – Copy and paste any youtube link into the field and save. 2. Media Library – Click choose video and you’ll be able to upload or select any video on your WordPress Media Library. 3. Other – Use the other setting to embed videos from any of the support sites listed below. 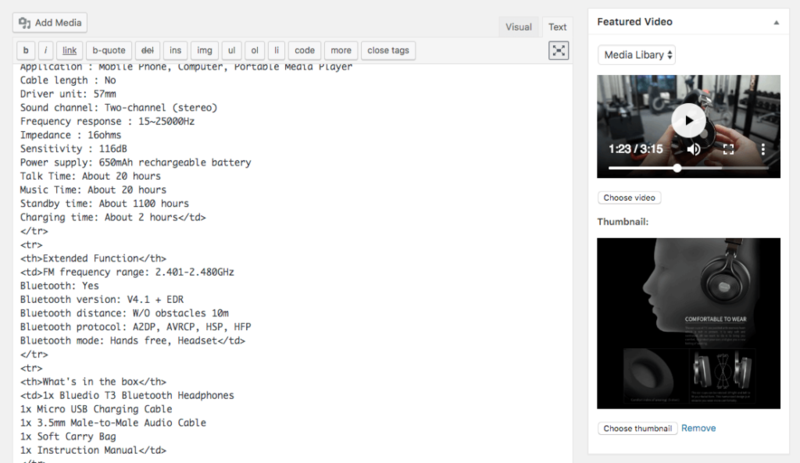 The plugin will automatically try to bring in the default thumbnail for YouTube videos. If you prefer to use your own then just upload it to the media library. For the best results just make sure your thumbnail is the same aspect ratio as the video you’ll be using. Hit Save! That’s all you need to do. Use the other setting in the plugin to use videos from any of the below sites. Our Featured Videos plugin helps you make your products more engaging and stand out from the crowd! Includes 1 year of premium support and updates.